If you've forgotten your Wi-Fi network password, here's how you can find it. 1. Click on the Start menu. It's the area with Windows logo in the bottom-left corner of the screen. 2. In the Start menu, click on the Settings icon (gear icon). 3. In the Settings window that appears, click on Network & Internet. 4. In the Network & Internet window that appears, click on Status. 5. On the Status page, scroll down and click on Network and Sharing Center. 6. In the Network and Sharing Center, next to Connections, select your Wi-Fi network name. 7. 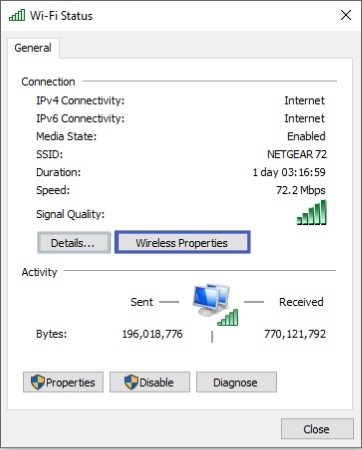 In the Wi-Fi Status area, click on the Wireless Network Properties button. 8. In the Wireless Network Properties dialog box, select the |Security| tab, then set the Show characters check box. Your Wi-Fi network password is displayed in the Network security key box. 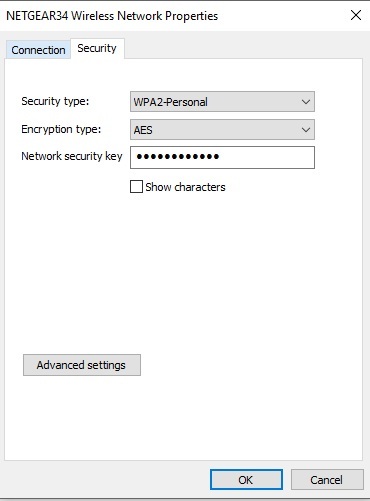 One of the most common reasons to find your Wi-Fi password is to use it on another PC or device to connect to your Wi-Fi network.